Morgan James Publishing, 9781683508731, 188pp. 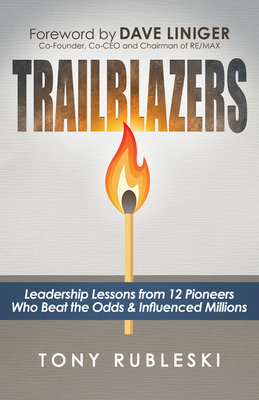 Trailblazers reveals how leaders trailblaze and move markets when others say it's impossible. Readers discover what 12 very different, yet highly successful, leaders did to achieve massive global success despite countless setbacks, adversity, and critics during their upward climbs to amazing influence on millions of people. Based on in-depth, recorded interviews, their stories are not only inspiring, but also reveal how they pushed onward when it seemed like quitting was the only option. Leaders learn from the valuable wisdom and tips shared in Trailblazers, including the seven key characteristics all super successful trailblazing leaders possess, and use them to immediately blaze their own successful trail in both business and life.